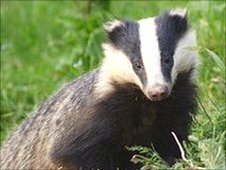 Government plans to cull thousands of badgers have been delayed until next summer amid growing concern about the cost and effectiveness of the controversial scheme. Environment Secretary Owen Paterson said the cull in the south-west of England would have to be delayed because a new survey revealed there were twice as many badgers as previously thought, making the cull too expensive. Farmers felt they could not kill enough badgers before the animals start going underground for the winter. Recent bad weather was also blamed for hampering preparations. Mr Paterson insisted that the Government was still committed to reducing badger numbers, but said the “optimal time” for the cull had passed. The announcement was welcomed by many leading scientists, who have expressed severe doubts about whether the cull would successfully stop the spread of bovine TB. Lord John Krebs, the architect of a 10-year badger culling trial, called it “mindless” and signed a letter with 31 other eminent scientists demanding the Government reconsider its plan. Anti-cull campaigners believe the cull is inhumane because the method of shooting could cause suffering to many thousands of badgers. They have called for a vaccination programme along with increased levels of testing. An e-petition, launched by the Queen guitarist Brian May, as part of the Team Badger campaign, attracted more than 160,00 signatures. RSPCA Chief Executive, Gavin Grant, said the fight to stop the cull would continue and legal challenges were being drafted. “We welcome this postponement, but this must not be a temporary reprieve, but must mark an end to all cull plans,” he said. This entry was posted in Badgers, Nature, Wildlife and tagged Brian May, conservation, Environment, Owen Paterson, petitions, RSPCA. Bookmark the permalink. I posted a link to this on my own blog. Do you know, I’m thinking that we might win this one! Yes, I think you’re right. The petition and protests have definitely had a big impact. I hope the delay is the beginning of the end for this stupid idea. In this day and age you’d think we’d know better than culling for such dubious purposes. I’m sure there are some cases when culling might be necessary (though I can’t think of one off hand) but this absolutely isn’t one. Let’s hope sanity prevails! Thanks for the post and keeping us informed. When I was in the UK a couple of years ago this was a big topic but it doesn’t get much (any?) global media attention so I’d forgotten about it.